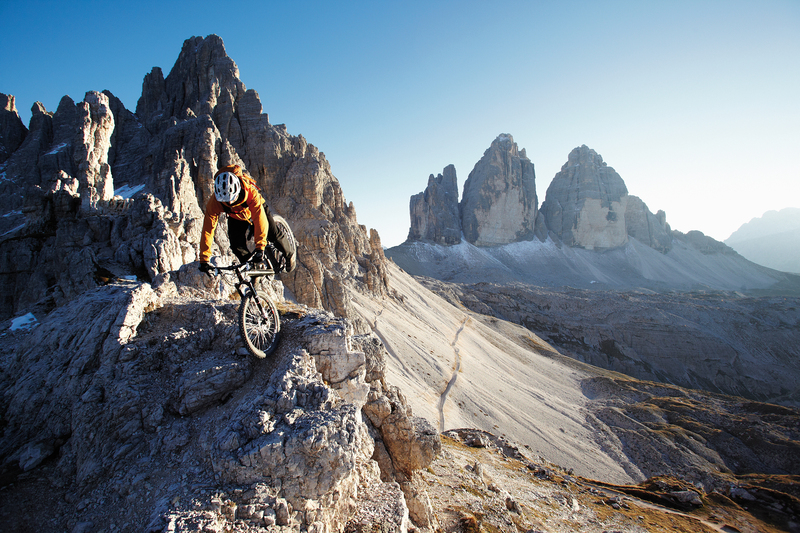 Pushing the limits in the Dolomites: Harald Philipp loves extra difficult terrain. Right there, where there are no established trails, he carves his own path. When Harald Philipp talks about flow, he talks about contrasts. You can’t do without them. Because the flow—how light, fluff and easy-going this state of mind might feel—is situated in a border area. A border zone between fear and comfort, between under and overload, between freedom and security. None of this is new. In fact, the term “flow” has been around since the 1970s, when the Hungarian-born Professor of Psychology, Mihaly Csikszentmihályi, started to research the phenomenon. If you want to feel the flow you have to be prepared for a certain amount of risk. Or as Harald would say: to be and to stay curious. But that is one of those abilities that we lose as we grow up. “Children who play have the purest feeling of flow. They are totally absorbed in whatever it is they are doing—without any distractions. In their world everything is new and great all the time. We live in a society that appreciates peak performance, that values the result more than the effort. What you did is more important than how you achieved it. This way of thinking makes it impossible to experience flow. It would be wrong to believe that flow is the key to achieving more. It’s true, when you are in the flow it is easier to perform at your peak. But flow and rational thinking, which we usually use for solving problems and improving performance, are on opposites site of the spectrum. 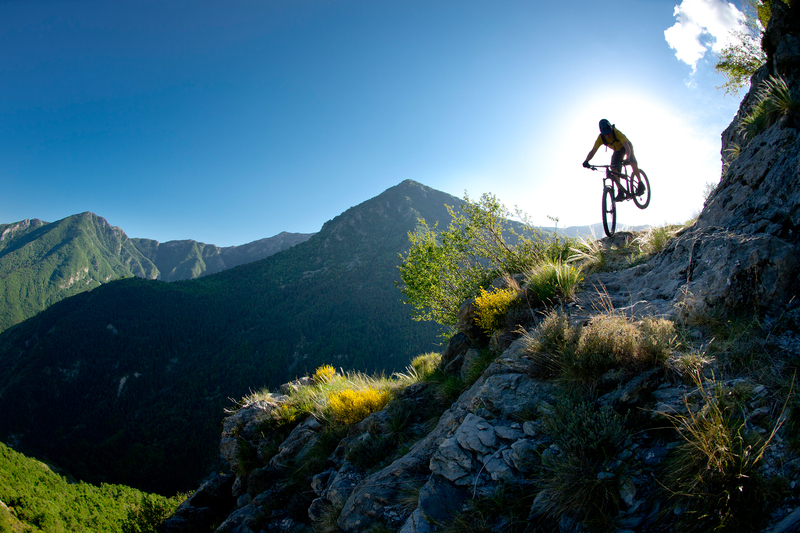 That feeling Harald gets on his mountain bike, anyone can achieve it. You just have to connect with your personal passion. For a pianist the 88 keys of the instrument become an extension of his fingers. A dancer will lose himself in the music with his entire body, an author merges with his pen—words and structure come naturally. At this point flow isn’t connected to sports anymore. Sports is just one way of achieving it. But there is one condition that is essential for experiencing flow. “For example, I have claustrophobia. It’s a fear that I’m not facing. And that’s why it’s getting bigger and bigger”. There is not just “fear”. You’ll always find a certain type of fear: of an activity, some kind of condition, an object or even a person. The flow state cannot make fear disappear, but it can push it back, little by little. If you’re aiming for too much too fast, the bubble will burst, to use Harald’s diagram. When you manage to softly touch the ultra-thin, rainbow-colored layer, you’ve found flow. 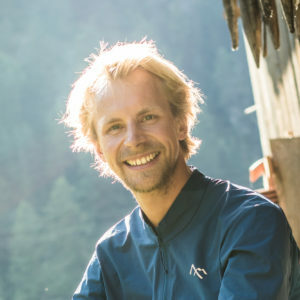 Harald Philipp is a mountaineer on a bike. His trails are mountain tracks and via ferratas. As a mountain bike professional he doesn’t compete against other bikers, he rides with them. He has written a book—“Flow”—together with sports scientist Dr. Simon Sirch and gives presentations about his bike adventures.